Do you hear that high-pitched squeal? That is the sound of your daughter who has just realized that Jiffy Lube Live, right here in Bristow, VA, has teamed up with PwcMoms.com to give you THREE chances to win tickets to see Nickelodeon sensation “Big Time Rush” LIVE in concert this August! 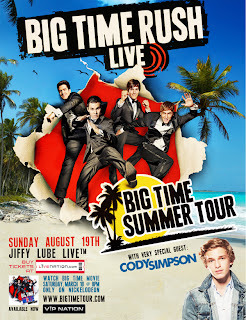 Big Time Rush will be bringing down the house at Jiffy Lube Live August 19th. The tour will feature your favorite fab four (no- not those fab four, the new ones- Kendall, James, Carlos and Logan!) 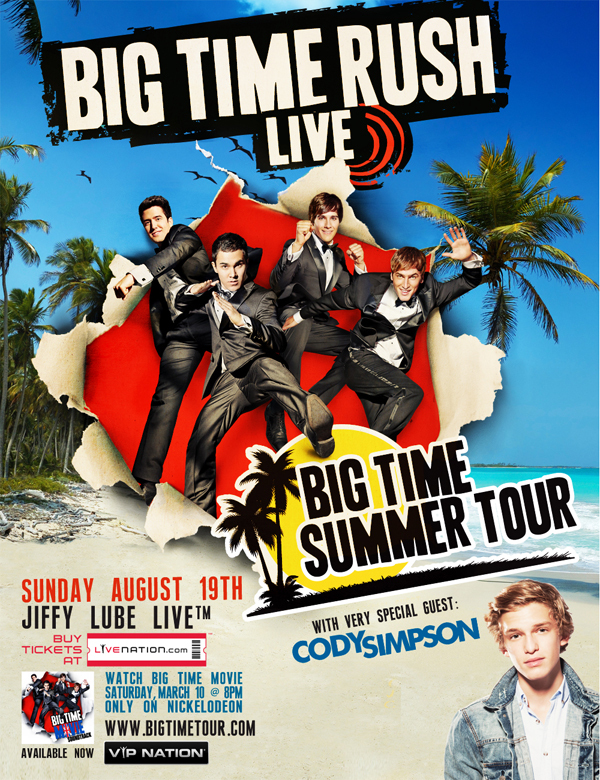 as well as special guest Cody Simpson. So here’s the deal. You’ve got several chances to win these amazing tickets! They’re selling fast, and you definitely want to make sure your kid is at this concert!! 2) Click “share” from any of the PwcMoms Facebook page posts about this contest and let your friends know they can enter. Make sure to leave a comment letting us know you did. 3) Tweet and leaving a link back to your tweet (click on the tweet, click details, copy the url) say whatever you’d like, but be sure to include a link to this contest page and tag @PwcMoms. 4) Send an email to me with “Big Time Rush” in the subject line. You can also earn a one-time entry by “liking” PwcMoms on Facebook and leaving a comment that you did (or have already). Best of luck, and we hope this contest adds a serious rush to your summer! This prize is provided via JiffyLubeLive. PwcMoms.com is not responsible for concert content, travel expenses, or any problems/dissatisfaction on the part of the winner. Winner assumes any and all responsibility and/or liability by accepting the tickets provided. Winners will be selected at random from all entries submitted. Can’t wait to win? Tickets are available from LiveNation.